LEENANE: Mountain Walking, Pubs, Restaurants and Cafes, Sea and Game Angling, Outdoor and Adventure Activites, Heritage Centre and Sea Cruises. Highlights are the Leenane walking festival, Blackface sheep show. Leenane is located in a stunningly beautiful valley on the N59 about 30km North of Clifden and 35 km South of Westport. It is the Gateway to Connemara on Wild Atlantic Way. The Killary Fjord is a spectacular inlet surrounded by mountains and river valleys. 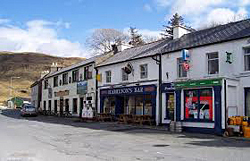 Leenane has a great deal to offer as it has a variety of restaurants, cafes and pubs.The adventurous are well catered for with Scuba Dive West and The Killary Adventure Centre all nearby. Leenane is a great location for the walker with routes in the area varying from easy to extremely challenging. 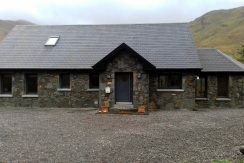 If you would like a guided Walk ,Connemara provides a great service to show you the best walking.For those less inclined to exert themselves Connemara Seaweed Baths offer a delightful way to relax, along with beauty therapy and massage. Other attractions in the immediate area are the Killary Sheep Farm and a Sheep and Wool Museum where you can learn about the industry that has been so important to the West of Ireland. The angler is in his element here with great sea angling on the doorstep as well as excellent salmon and seatrout fisheries at Erriff, Delphi and Kylemore. There are also some good brown trout lakes nearby. The Leenane Autumnal Festival held in September celebrates all things autumnal, with a focus on traditional food, arts and crafts from this exceptionally beautiful part of the country.